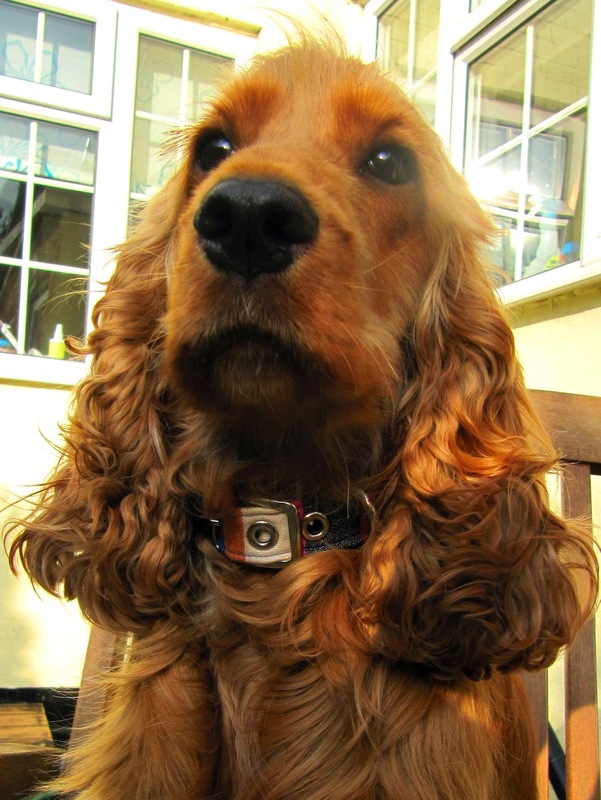 We received a gorgeous collar to review from Creature Clothes recently, and we tried it out this weekend. 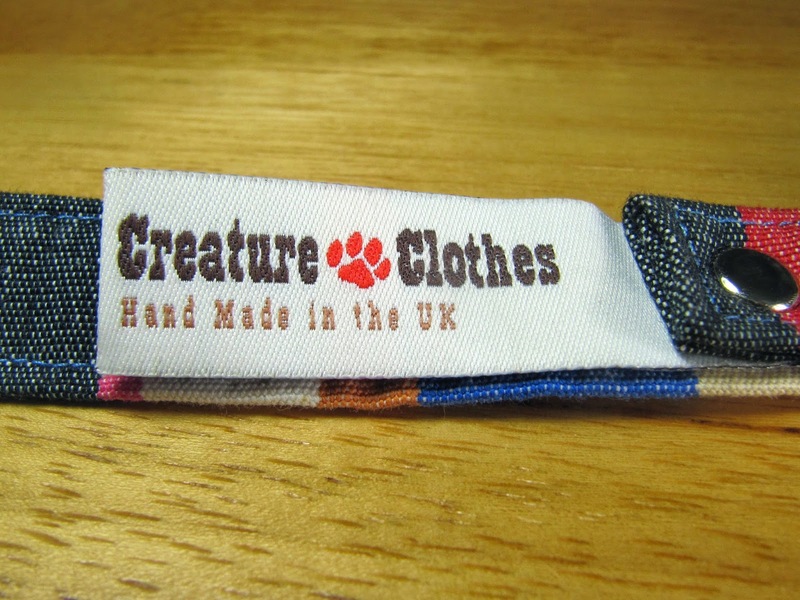 Creature Clothes are dedicated to producing beautiful, ethical and environmentally aware products, and offer a whole range of products for you and your dogs, cats and children! Founded in 1999, the company was born after designer Cosima Pole, created a collar made out of an old necklace for her black lab, Vodka. 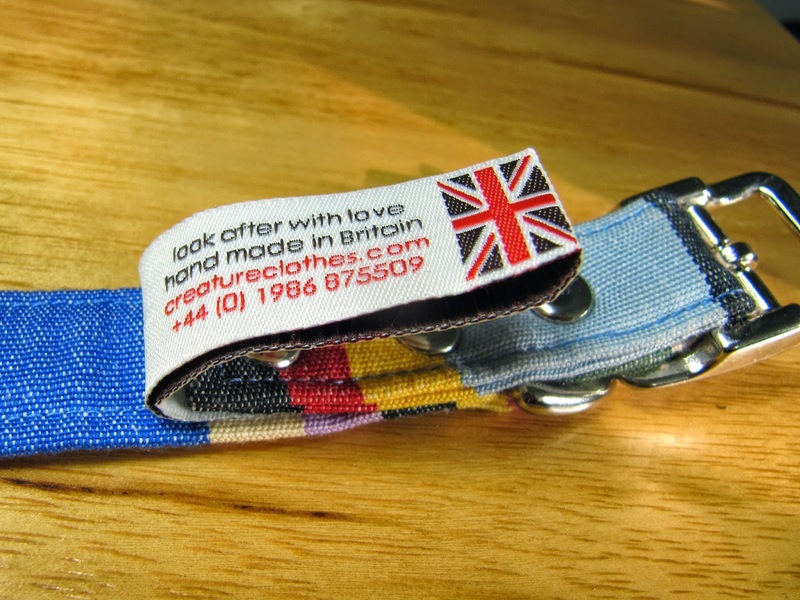 Creature Clothes is a proudly British company, making hand-crafted products in their Suffolk workshop. 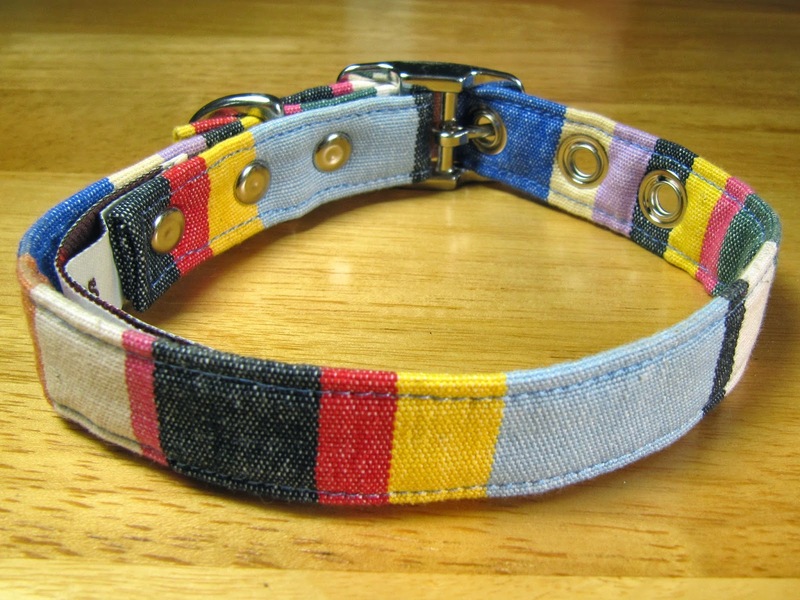 The collar sent to us to try out is the Pink Deckchair fabric collar. Hooman has always hesitated to put stripes on me for some reason, but she absolutely loved this one! 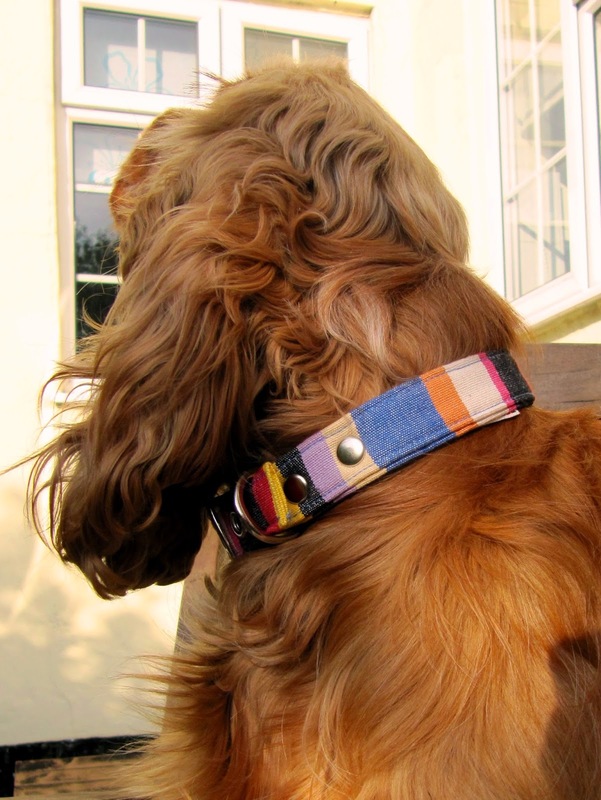 Creature Clothes make their collars out of fully tested upholstery fabric (so tested for use on a sofa! ), so are strong but amazingly soft and flexible! With new collars, I can be a bit irritated with them at first, but this one is as soft as butter and amazingly comfy, not irritating me whatsoever. The collars have a good robust construction with a sturdy D ring, and Hooman particularly liked the buckle, which is relatively uncommon in a fabric collar (most of mine are clip buckles). Even more importantly, they are fully machine washable! 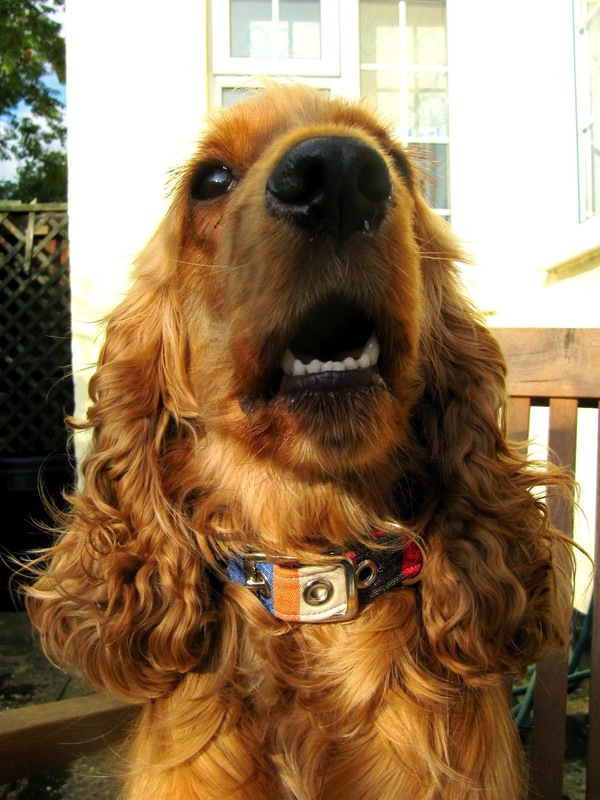 Overall, both Hooman and I really liked this collar, so if you are looking for a new addition to your doggy wardrobe, you wouldn't be unhappy with one of these beautifully made collars. 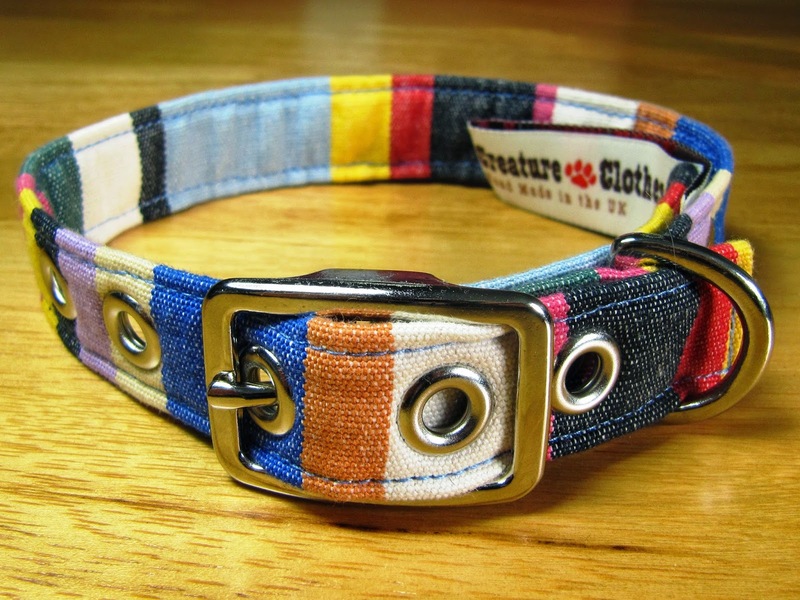 Creature Clothes sell a collection of fabric and leather collars and leads for dogs, plus dog toys and bandanas, cat collars and toys, and accessories for you and your home. Fabric collars start from £23.50, plus a little birdie tells us from Creature Clothes that they are soon to have a sale on fabric collars, including this one, so make sure you take a look! (Hooman particularly has her eye on one with pretty daisies embroidered around it!). Click here to browse their range of products. That is one stylish collar! Oh, that is FABulous Lottie!! It looks mighty tough, and that's what I likes in a collar! (I'm kinda a collar Houdini..hehehe) I loves the colors too. 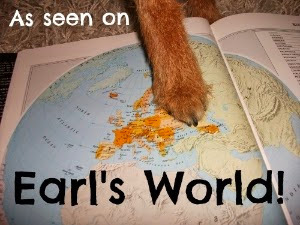 Lucky doggie fursure! Oh no! We feel another shopping spree coming on! Our mom loves buying collars! The stripes look great on you, Lottie! Wow Lotie that is FAB. We have to say you modelled it well. We hope you got lots of bones for getting out of your basket and hitting the cat walk so to speak.